Has more than 17 years of experience as a priest in renowned temples in India and the United State of America. 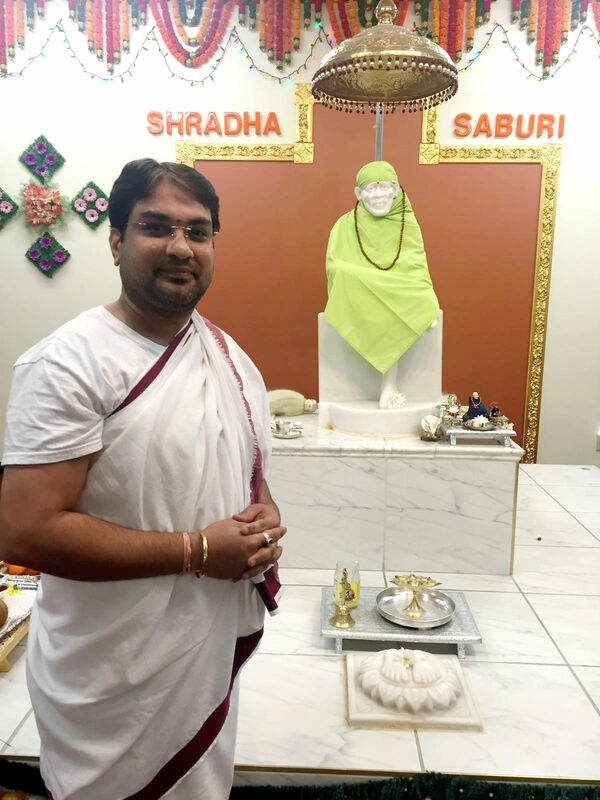 For the 13 years, he was the priest at the Shirdi Sai Baba Temple at Flushing NY. He has been working with SSMCD since February 2016. 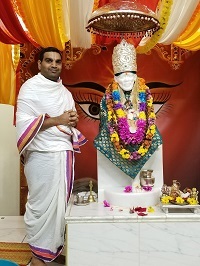 Along with temple priestly duties, he is an expert at conducting various religious services like Sri Sai Satyavaratam, Baba Paduka pooja, Abhishekam, Gruhapravesha, Satyanarayana Pooja, Sudharshana Homam, Navagraha Shanti, Rudraabshikam, Kalyanotsavam, Namakaranam, Annaprashanam, Ayushya Homam, etc. He has completed Pancharatra Agama Pravara & Praveena from Maharaja Sanskrit college Mysore. Has more than 8 years of experience as a priest in renowned temples in India and the United State of America. For the last 2.5 years, he was the priest at the Sri Venkateshwara Temple Pittsburg PA. Along with temple priestly duties, he is an expert at conducting various religious services like Abhishekam, Gruhapravesha, Satyanarayana Pooja, Sudharshana Homam, Navagraha Shanti, Rudraabshikam, Kalyanotsavam, Namakaranam, Annaprashanam, Ayushya Homam, etc. He has completed Pancharatra Agama Pravara & Praveena from Maharaja Sanskrit college Bangalore, Karnataka India.